When a mouth sore arises it has a way to derail the next few days. Everything from eating to talking, to drinking, becomes difficult with a painful mouth sore. Whether your mouth sore has popped up from an injury to your mouth, eating spicy or acidic foods, or from an abrasion caused by braces or dentures, the important thing is to get mouth sores treated. It is important to stop possible infection and get your sore healed so you can go about your normal day. Most mouth sores do not need medical attention and can be cured at home with some easy remedies and a little bit of time. Of course, should a mouth sore show no improvement after a week it is a good idea to seek medical attention. 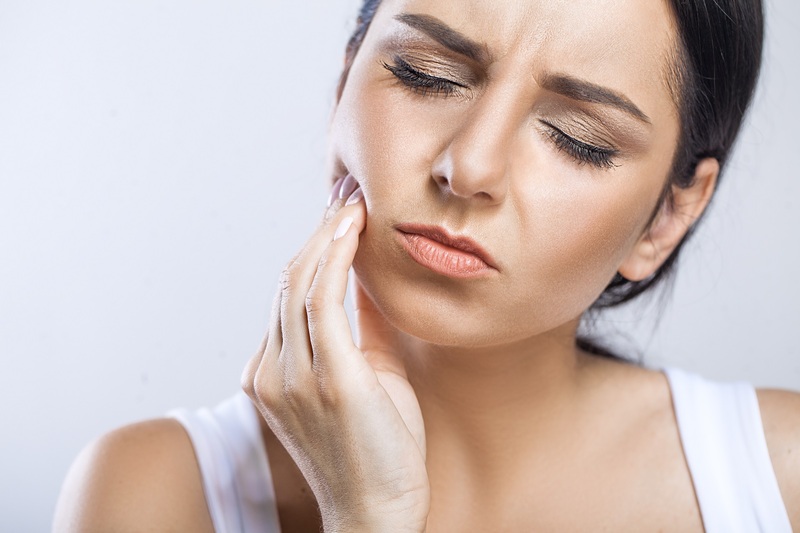 Most of the pain associated with a mouth sore is caused by stomach enzymes and acids within your mouth. By popping a Rolaids or Tums and allowing it to dissolve in your mouth you may be able to reduce some of the pain. The tablet will help neutralize the acids and will ultimately help heal the mouth sore faster. Of course, you should always check the antacid label for appropriate dosage information. It seems every day there is another use for hydrogen peroxide. It turns out you can use this everyday tool in your medicine cabinet in two ways to help cure a mouth sore fast. First, try using hydrogen peroxide as a simple mouth rinse, the same way you would use Listerine. Just be careful not to ingest any of the liquid. Or, alternatively, you can create a soothing rinse by mixing together 1/4 cup of hydrogen peroxide, 1/4 cup of water, 1 teaspoon of salt, and 1 teaspoon of baking soda. Exactly like how the antacids work to ease mouth pain, the baking soda will help to neutralize the acids in your mouth. The combination of salt and hydrogen peroxide will help the sore heal faster. Sometimes the simplest remedy is the best. Add some salt to warm water and rinse for about 30 seconds. This tried and true trick is so effective at healing mouth sores because the sodium chloride works to take water from the surrounding healthy tissues in your mouth and redirect the water to the mouth sore. By sending healthy fluids to the mouth sore it helps to heal the sore faster. This is also a great remedy to try with abscesses. Sage has natural compounds that can kill viruses, bacteria, and reduce inflammation. To make a sage mouthwash simply steep about 2 teaspoons of dried sage in some boiling water with the pot covered. Let the liquid cool and use it to rinse your mouth about two or three times a day. This will help prevent infection from settling into your mouth sore and will help to reduce some of the pain associated with the sore. By eliminating the inflammation your mouth sore should heal sooner. We welcome you to visit our Everett, WA office to discuss any further questions you may have, and we also encourage you to schedule regular cleanings at All Family Dental Care to ensure good dental health.